The United Kingdom started offering an immigration route for foreign investors in 1994. In 2008, they introduced a new points-based system that established Tier 1 Investor and Tier 1 Entrepreneur routes. In 2014, the UK saw record numbers of investor applicants. On 29 March 2019, the Entrepreneur visa was stopped altogether, while the Investor visa underwent some changes. New routes have been introduced, including the Innovator visa. Immigration rules for non-EEA citizens planning to come to the UK under these visas have been changing over the years, increasing some requirements and slackening others. Investor and Innovator routes lead to settlement (permanent residence) and eventually to citizenship by naturalisation. Let’s see what to do to get a British passport. Though at a first glance an investor visa looks more appealing and easier to get, it might not be what you are looking for and the required investment is significantly higher. Investors can work, study or literally do anything while in the country. Innovators, however, can only work in the company in which they’ve invested. Investors don’t need to meet English language requirement. Investors can settle already in 2 years. Investors have full control over their invested funds and might be able to recover them. Minimum age for the main applicant is 18. Dependants include spouses and minor children. Good health and no contagious diseases. Clean criminal and immigration record. Two routes are available leading to UK citizenship by investment. The funds must be held in your bank account for two years or your can prove the availability by showing the source of funds. UK financial institutions, where an investment account is open, are required to conduct thorough due diligence checks on all investors and state that in their letter. Additional fees and charges must be paid. You can apply from within the UK, when switching from another allowed category, or outside the country. Initial visa is granted for 3 years four months subject to extension. To get visa of this category, you have to have access to £50,000, get your business idea endorsed, set up a business in the UK, become director there and run it till you can apply for settlement. You must be endorsed by an approved body that would acknowledge that your idea is viable, innovative and scalable. If your endorsement becomes invalid, you can re-apply. You can apply alone or with a partner. If it is a team, each innovator must contribute £50,000. Other fees and charges apply. Applications can be made both in and outside the United Kingdom. First visa is given for 3 years four months subject to an unlimited number of extensions. You can apply for settlement in 5 years and a British passport in 6 years. Have not broken any criminal or immigration laws. Settle in as little as two years and get naturalised in five. Step 2: Apply for Investor or Innovator visa. Step 3: Extend your visa or apply for settlement. Step 4: Apply for citizenship. Step 5: Get your British passport. 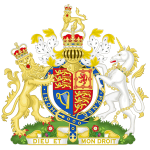 The United Kingdom of Great Britain and Northern Ireland, or UK for short, is a state that comprises four countries, England, Scotland, Wales and Northern Ireland. It is mostly an island country apart from the land border with the Republic of Ireland. The UK’s capital London is one of the world’s major financial centres. It is an entrepreneurial nation with an advanced economy. It was and still is a great power on the international arena exercising big influence culturally, economically, politically and otherwise. The UK has been a member state of the European Union since 1973, but in 2016 the majority of UK people voted to leave the UK, and the Brexit negotiations started. However, even with that underway, Britain still remains one of the most attractive investment destinations. Head of state: Queen Elizabeth II. Prime Minister: Theresa May (from 2016). Membership: United Nations (UN), Commonwealth, Council of Europe, G20, OECD, WTO, etc. Currency: Great British Pound (GBP). Terrain: mainly lowland in England, predominantly mountainous in Scotland and Wales, mostly hilly in Northern Ireland. Climate: temperate with a lot of precipitations. Mild winters with snow in the north, and warm summers. The UK has a highly developed and independent trading economy. It is self-sufficient in energy sources, like natural gas and oil, though lacking mineral resources. It was the first country to become industrialised. Manufacturing sector was very strong and the biggest contributor to the GDP in the 19thand large part of the 20thcenturies. However, the WWII weakened it significantly. It took around 40 years for the British economy to recover. At the moment the main contributor to the GDP and growth is the services sector, in particular financial and banking services. London continues to dominate that industry as a global financial hub. Largest trading partners are the US and EU states. Besides, American and Japanese corporations often use the UK as their European production base. In agriculture and husbandry, farmers get subsidies and direct payments to ensure regular supplies and low prices on domestic products. Overall, the UK is highly self-sufficient in the agricultural produce. Although an island country, the UK’s fishing industry has been declining for years and now it supplies only 50% of the domestic demand.